Each year, I feel that I’m just really bad at Easter. I easily become frustrated as I confront the tension of desiring to embrace the Resurrection, as it is the pulsing heart of our Christian faith, yet never understanding how to live it freely. I can see myself at the empty tomb. Time and time again, I allow missing parts of the whole picture to taint my ability to rejoice in the fullness of the Heavenly promise. I am called to new risen life with the Father, freed from the grips of captivity, yet I am too comfortable with my doubtful, fractured vision. Complacency in my mistrust robs me of glimpses of the Spirit breathing life back into me, just as He said He would. When did I become so accustomed to the grave that I forgot to truly see the light of the Resurrection? The entirety of the Gospel message points to this morning—where we are immersed in the truth that all victimhood, doubt, and disappointment were shattered and left to the grave by the reality of His rising. We are invited into the light, untouched by our repeated denial and misunderstanding. Today beholds an uncompromising victory, a call for our hearts to reclaim their roots in liberty, where doubt dissipates at the presence of hope. He gives us permission to not know the entire picture in this moment, because its fullness is manifested in Heaven. We are an Easter people because doubt and fear did not get the last word, but the light of Hope did. Doubt and fear did not get the last word, but the light of Hope did. May today be a bold proclamation of victory, in the face of the grave. 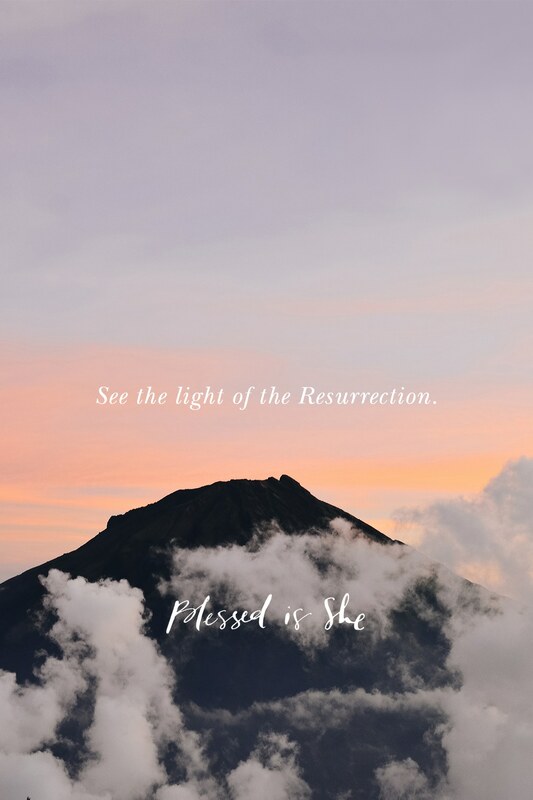 He is risen; hallelujah, hallelujah.